A visit to one of the top schools for PR education convinces PRWeek editor-in-chief Steve Barrett that the future of the industry is in good hands. The next generation of PR pros is emerging into a world that has never been more exciting in terms of possibilities, but never been more frightening in terms of potential pitfalls. They have no awareness of the so-called "digital revolution," because they grew up with digital media and it is second nature to them. The cellphone and social media are integrated seamlessly into their lives in a way that Baby Boomers such as me can only marvel at, despite the fact we are just as welded to our phones. Definitions of different generations are notoriously elastic — I feel more like Gen X than Boomer to be honest, but that’s probably just my own conceit. "Millennial" is a broad term, variously defined as encompassing young people born between 1982 and 2004, a huge spread and that cohort is on the cusp of overtaking Boomers as the U.S.’s largest living generation. When PRWeek looked at the notion of new influencers and how young generations make their purchasing and other decisions, we defined Gen Z as anyone born in 1998 or later, so, for the purposes of this piece, I’m defining most young people entering college now as Generation Z. 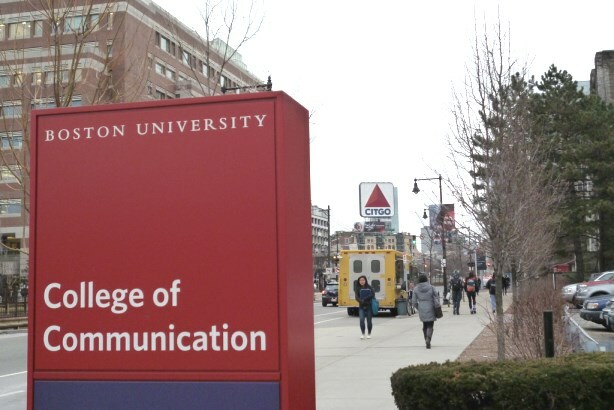 The reason for my theoretical preamble is a great visit I paid this week to the College of Communication (COM) at Boston University, where I had the chance to meet the dean, faculty, and students. The visit came at the invitation of Harold Burson Professor and Chair of PR Don Wright, and Ray Kotcher, former global CEO and now non-exec chairman of Omnicom PR shop Ketchum and now Professor of the Practice of PR at BU — the alma mater from which he graduated with a degree in PR in 1983. Firstly, it’s great to see seasoned professionals such as Kotcher entering the education sphere and passing on their wisdom to the next generation of PR pros. He has led a $450 million global PR agency and those BU students taking his course on career paths in PR next semester are in for a treat. He is giving the commencement address at BU COM’s graduation ceremony today. Secondly, competition to get into BU is intense, with a mere 3,400 students accepted from 56,000 applicants each year. Of course, BU is just one of many great institutions producing the individuals who will be the PR pros of tomorrow. But it encouraged me no end to see that the students coming out of schools now will hit the ground running when they enter the PR workforce. As documented here before, that hasn’t always been the case — in fact, it was Kotcher’s successor Rob Flaherty who sent out an initial call to action on the subject. BU’s College of Communication is made up of programs in PR, advertising, journalism, communication, film and TV, and emerging media. Like a mini holding company the different programs have learned to work together — there are no longer lines that can’t be crossed between PR and advertising; in fact they work together closely. The TV studios and editing facilities are second to none; the radio studio is currently being rebuilt after a fire, but will be back soon better than ever; and there is a fantastic Communication Research Center where students can conduct focus groups, get experience in social media monitoring, data analytics, and measurement, and explore innovative techniques such as galvanic skin response tests to evaluate reactions to different media. Most importantly, the academic work is conducted with the endgame of producing students fit for the workplace, and this is aided through the in-house student-staffed agency called PRLab. At the PRLab, students do real work for real clients, from national brands including Ben & Jerry’s and Wild Idea Buffalo, to local businesses such as AcceptU, to non-profits such as Goodwill Industries, to Boston University Police Department and Boston Athletic Association. And the process is working: 88% of graduate students found employment within six months of graduation; 89% of bachelor’s grads are currently working in jobs related to their COM degrees — and that number is 97% for master’s grads. As well as Kotcher, BU COM alum include another senior Ketchum exec — North America CEO Barri Rafferty, who was just inducted to PRWeek’s Hall of Femme — Pulitzer Prize-winning photojournalist Tyler Hicks, The New York Times’ Joe Nocera, and the dean of COM — and another Pulitzer Prize winner — former Miami Herald executive editor Tom Fiedler. Our own former web editor Brittaney Kiefer, now plying her trade in London for our sister publication Campaign, is also a proud alum of BU. The current crop of students I met this week, including PR Master’s Degree Graduate Student Elizabeth Rhee, were impressive to a T. They talked intelligently and passionately about the profession and the path they wished to pursue within it — most do want to go into PR when they graduate by the way, usually aspiring to start out in the agency sector for some general experience and then move on to the client side in time. But they know they need to be flexible and embrace unexpected opportunities that arise. They are also particularly attracted to working on causes that matter to them and making a difference. They have a social conscience that goes beyond the innocence of youth that I don’t think will dissipate with age in quite the same way it did with prior generations. Their perspectives are rooted in the harsh realities of life for young people leaving learning in this day and age, with the anchor of student loan debt especially harsh for graduate students. They know they have to leave college with skills that are fit for purpose in the modern workplace so, while that might be slightly depressing from a societal point of view, it is good news for PR employers looking for talented employees who are digital natives. As I said, BU is just one example of the great education programs across the U.S. training the PR pros of tomorrow (I’d be delighted to hear about the unique selling points of others by the way). But I left Boston feeling optimistic about the future of the profession and energized by the prospect of an engaged and fit-for-purpose next generation of PR practitioners.